WILD ROSE is melodic AOR band from Greece formed in 2004 by Andy Rock, releasing two studio albums, “It's All About Love” of 2007 and the newly “Dangerous” just now. In general, “Dangerous” is a major hit stock. “Alone”, my likeable killer track, opening the album just as an opener should, a true AOR clincher with keys, heavy riffs & energetic rhythm section. Though with slight cheese, the chorus, bearing lyrics as “I need your love, can't you see girl, want you so for the rest of my life, I need you so much, I can't sleep another night alone…”, is amazingly played. No doubt that the 80s came back alive on this one. “Tonight” has pretty much the same ideas with texts as “Tonight I want you so desperately, I wanna change my life, I wanna be with you…”, how colorful. It seemed that the guys chose to title their tracks, certainly unintentional, according to old classics such as “I Can’t Stop Loving You” of VAN HALEN, PHILL COLLINS, “Dream On” of AEROSMITH and “Is This Love” of the legendary WHITESNAKE. On the other hand, WILD ROSE's songs felt different, and I love them all. “Hold On” is a boogie 80s Rock good time with a powerful chorus and a tight rhythm section, just an amazing atmosphere. “Dream On” channels Keys similar to EUROPE & riffs like SURVIVOR or TOTO. “If You Still Love Me” has a nice guitar solo and “Is This Love” presents impressive riffs. The ballad of “Awake” is typical for the most know ballads of 80s, but highly soothing. Catchy melodies with AOR guitars riffs, placid keyboards on “I Won’t Forget You” are so great and even playing saxophone in the spirit of HUMAN ZOO. Listening to this album is really enjoyable; every sound seemed to be written to perfection with every detail under consideration creating a very pleasant outcome. 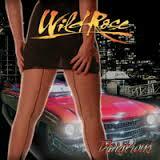 The music of WILD ROSE is very melodious and catchy, with the feeling spirit of 80s and 90s rock. David A Saylor has an interesting voice, perfectly suited for this kind of Rock, melodious, strong and very clear. Every song on this album was made solid and very enjoyable to listen. If You like such bands like BON JOVI, H.E.A.T., DEF LEPPARD, EUROPE or WINGER, you wouldn't be disappointed of the sounds WILD ROSE.